Recently, truck driver shortages have increased to 48,000, which can be attributed to a high number of 2015 retirements as well as increased industry growth. If the numbers continue to rise at this rate, the ATA could face a shortage of 175,000 drivers by 2024. The scarcity of drivers could have a huge affect on supply chains across the country, as distributors will have to make up for the shortage of transportation capacity for goods. The lack of drivers is not necessarily due to a decrease in applications, but rather a lack of qualified applicants, stated ATA Chief Economist Bob Costello in the report. "Fleets consistently report receiving applications for open positions, but that many of those candidates do not meet the criteria to be hired. According our research, 88 percent of carriers said most applicants are not qualified," noted Costello. Small fleets are being affected the hardest by these shortages. According to The Wall Street Journal, larger truck carriers often add signing bonuses to encourage new driver applications - smaller fleets cannot afford this luxury. A new wave of federal truck safety regulations also plays into the small fleet struggle. The regulations include restrictions on miles driven by truckers as well as caps on salary, the source reported. Even more troubling for the trucking industry: In first quarter of 2014, 390 small fleet companies declared bankruptcy, noted the source. Costello is highly hopeful for a solution, citing potential fixes throughout the report. 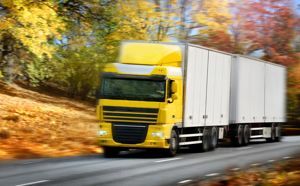 "We highlight several solutions including increasing driver pay, getting drivers more time at home, as well as improving the image of the driver and their treatment by all companies in the supply chain. Make no mistake, the driver shortage is a challenge, but it is not an insurmountable one," stated Costello.